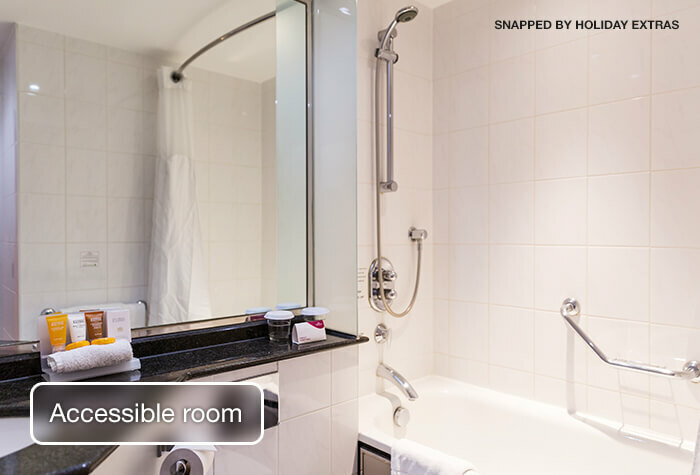 For right, royal treatment, at a Heathrow airport hotel where else would you go other than the Crowne Plaza? This palatial 4-star hotel is fit for a king, with Heathrow's largest rooms, an on-site Indian restaurant and a health centre. The hotel is stylish and elegant, but with quirky features like enormously high-backed armchairs in the lobby or wall art made from pictures of old records. Of course, you can forgive the Crowne Plaza a bit of royal eccentricity when it offers such large, comfortable rooms and a wide range of facilities. The Crowne Plaza is only a 5 minute walk away from T4, making it an ideal Heathrow Terminal 4 Hotel. The hotel's Sleep Advantage mission statement focuses them on ensuring that you get a great night's rest, with high-quality bedding and even aromatherapy products in every room. 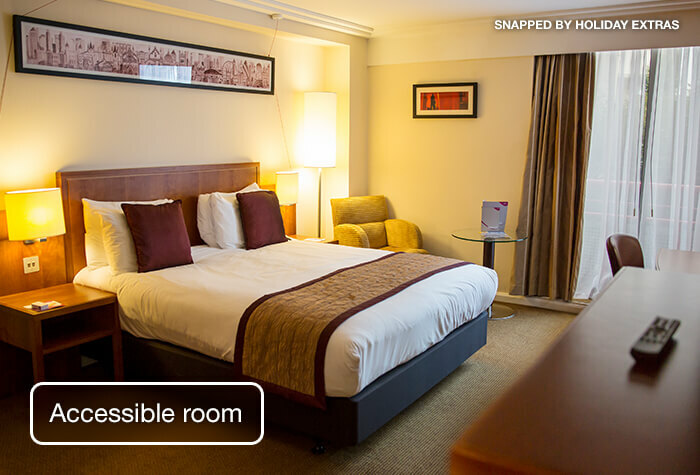 It won't take a spindle to get you off to your beauty sleep at the Crowne Plaza! Very good room,food was good.Very pleased indeed with the Hotel and facilities. Left my car which was good. Very convenient for the main terminals. Lovely hotel, quiet room, very clean, excellent facilities. Helpful and friendly staff at reception at check in. Plenty of spaces to park the car and safe. Would definitely use again for next trip. Room was very comfortable. Staff were helpful but we didnâ€t like the lounge/ bar area at night. It was noisy and the food was just average. In hindsight we should have booked room service. We loved the pool in the morning. 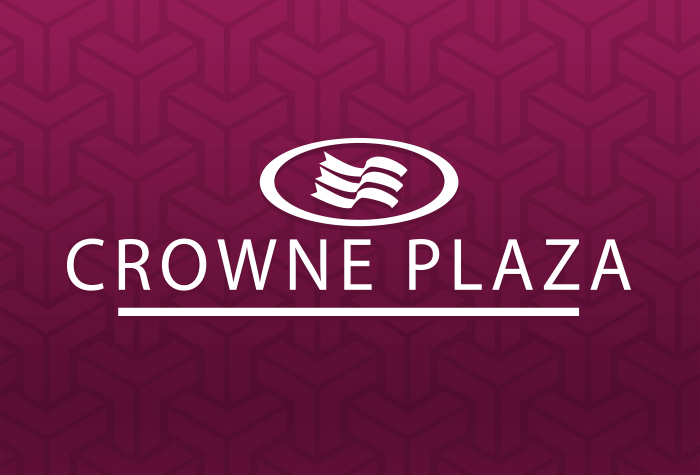 Our customers rated Crowne Plaza on average 9/10 (1837 reviews). Read Crowne Plaza reviews. 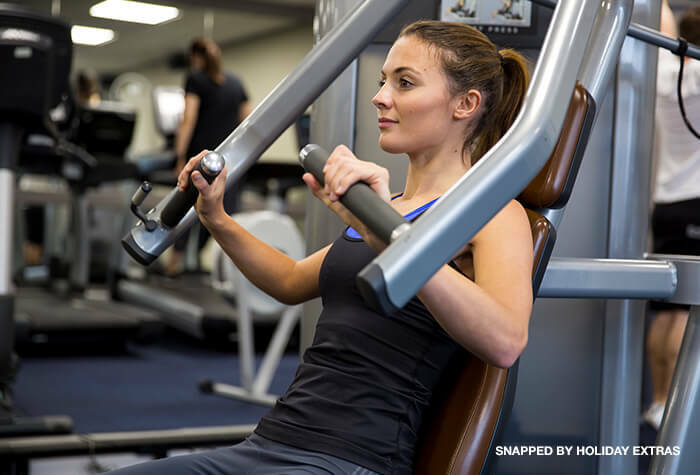 The Spirit health club will treat you like royalty, boasting a complex that houses a 16-metre, indoor pool, a sauna, steam room, jacuzzi and whirlpool. If you get tired of all that fun, then there's a staffed business centre with wifi and conference facilities so you can still reign over your work from afar. In the evening, you have a choice of 2 restaurants and 2 bars. Orwell's brasserie serves modern British food, while the hotel also has its own Indian restaurant fit for the Maharaja himself. 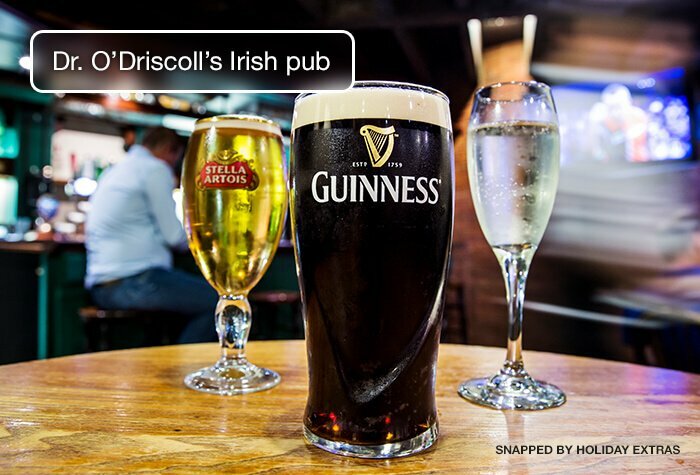 For after-dinner drinks, there's a stylish, modern bar or you can break the theme with a traditional pub in the style of the Irish Republic, Dr O'Driscoll's. All this and the hotel is still just 10 minutes from Heathrow by the National Express Hoppa bus that runs right from the front door to both sets of terminals. There's even an on-site car park that's controlled by Parking Eye. You will be required to enter your vehicle registration details upon arrival at the front desk to avoid any potential fines. Even better, you won't have to pay the King's Shilling to get a room at the Crowne Plaza with the great-value packages we offer. Stylish decor, with a quirky edge - The elegant, minimalist design of the hotel is undercut by some charmingly-unique features. A great range of restaurants and bars - Both an Indian restaurant and less-exotic cuisine are at hand, with a trendy, modern bar or a traditional, Irish pub to move on to after. Plenty to do - There's a gym, pool and spa. The Heathrow Hoppa shuttle bus runs regularly to terminals 2,3 and 5. 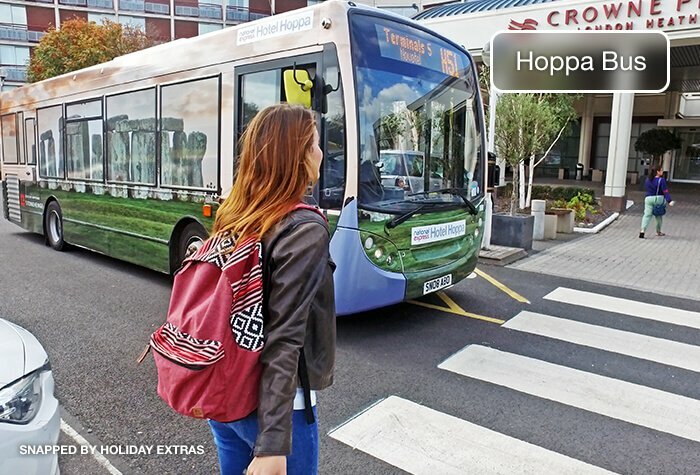 The bus stops at other hotels on the way, so it can take between 15 and 30 minutes. If you are travelling to T4 you'll need to get the Hoppa to one of the other terminals and then get the free Heathrow Express. A taxi to T2 and T3 is around £12, to T4 is around £16 and to T5 is around £18. Travelling to the hotel by train? The nearest station is West Drayton, which is about 10 minutes away by bus. The Crowne Plaza is just under 6 miles from the furthest terminal, T4. Driving directions, and a postcode for satnavs will be on your email confirmation. Guests say the rooms are spacious and soundproofed. The Crowne Plazas Sleep Advantage programme means that all rooms have your choice of pillow, 200 thread count bed sheets and a pillow spray to help you sleep. Triple rooms include a double bed and sofa bed. Family rooms include a double bed and sofa bed. Child age 17 and under. Wifi is free throughout the hotel and is fast enough to check your emails and browse the internet. Upgrade to a faster connection for £9.95. 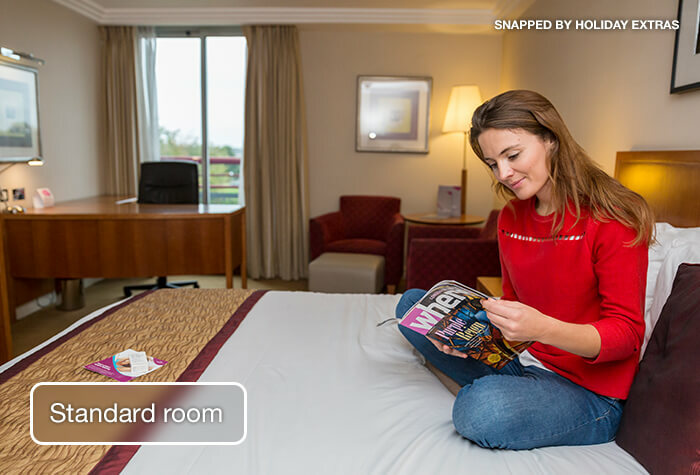 To request an accessible room please call Holiday Extras before you book. Award-winning Indian restaurant, Eriki: The chefs train in 5-star hotel restaurants in India, and replicate those authentic dishes at the Crowne Plaza. Theres an extensive menu with vegetarian options and the meat is halal. A main will cost around £14. Orwells Brasserie serves steaks and fish dishes, using ingredients sourced from Southwest England and cooked in a live, open kitchen. A main will cost around £19 and a separate kids' menu is available. Open 6pm - 10:30pm Monday to Saturday, and until 10pm on Sundays. Dr. ODriscolls Irish pub serves Gaelic ale and stout. They also serve traditional British meals, like bangers and mash, fish and chips and a ploughmans sandwich. A main will cost around £14. Open 5pm - 11pm on weekdays, 12:45 - 10:45 on Saturdays and 12pm - 8pm on Sundays. Orwells bar serves cocktails, bottled beers, rums and liqueurs from around the world, as well as Starbucks coffee. They serve meals like gourmet burgers and sandwiches for around £14. Open 24 hours, with last food orders at 9:30pm. Breakfast is an English and continental all-you-can-eat buffet. Theres an egg bar where the chef will make you made-to-order omelettes and eggs Benedict. Its £18.50pp on the day or £16pp if you book it in advance with us, which is subject to availability. Served 6am - 10am on weekdays and 6am - 11am at weekends. The on-site Starbucks is open from 6am - 8pm. - Spirit health club with indoor pool, jacuzzi, steam room and sauna, open 6am - 10pm (last entry at 9pm) weekdays and 6.30am - 10pm (last entry at 9pm) weekends. - Gym, open 5am - 11pm. - Wed recommend requesting a room in the Quiet Zone. You wont be disturbed by housekeeping or maintenance between 9pm and 10am. Children and groups are booked in other areas of the hotel. - Book a table for dinner at check-in, as they get very busy between 6pm and 8pm. - Avoid eating breakfast around 8 o'clock, when it is busiest. - The hotel does not have triple rooms. If you have a child with you, they can offer a double room with a sofa bed that is only suitable for children. - The hotel is not liable for loss or damage to any vehicle parked in their car park. Contents left in the car are left at the owners risk. Disabled facilities This hotel offers superb disabled facilities including lifts to accommodate wheelchairs.